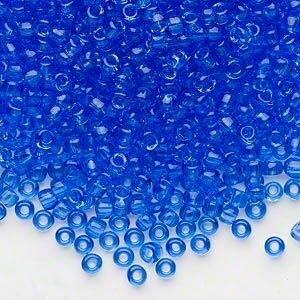 Seed bead, Dyna-Mites, glass, transparent light blue, #8 round. Sold per 1/2 kilogram pkg. Item Number: H20-4446SB Have a question about this item? 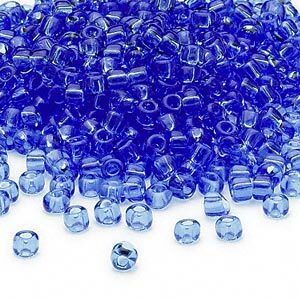 Create fanciful loom work, amulet bags--any seed bead project can be beaded with size 8 seed beads. 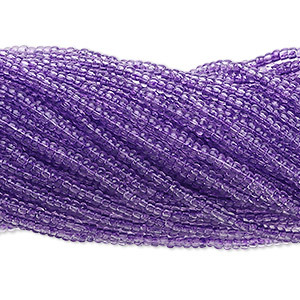 These beads are popular for designs that call for larger, bolder seed beads. 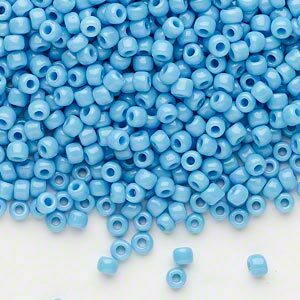 You'll also appreciate that these are easier on the eyes than smaller seed beads, and how swiftly the beading goes with this larger size bead. Mix with the number 11s for accents at the ends of dangling earrings. 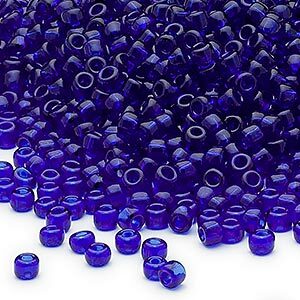 Size 8 beads are great for clothing embellishment--whether it's a wedding dress, a Vegas showgirl outfit or a belly dance costume. 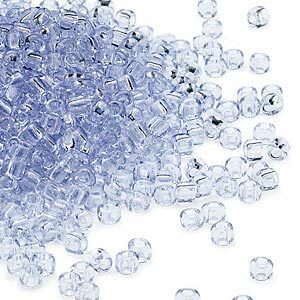 A 1/2 kilogram package can contain approximately 15,000 beads. 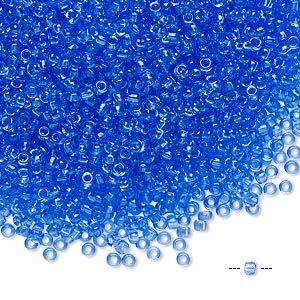 Seed bead, Dyna-Mites, glass, transparent light blue, #8 round. Sold per 40-gram pkg. 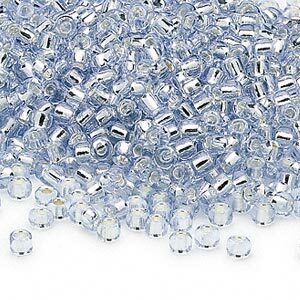 Seed bead, Dyna-Mites, glass, transparent light blue, #11 round. Sold per 1/2 kilogram pkg.